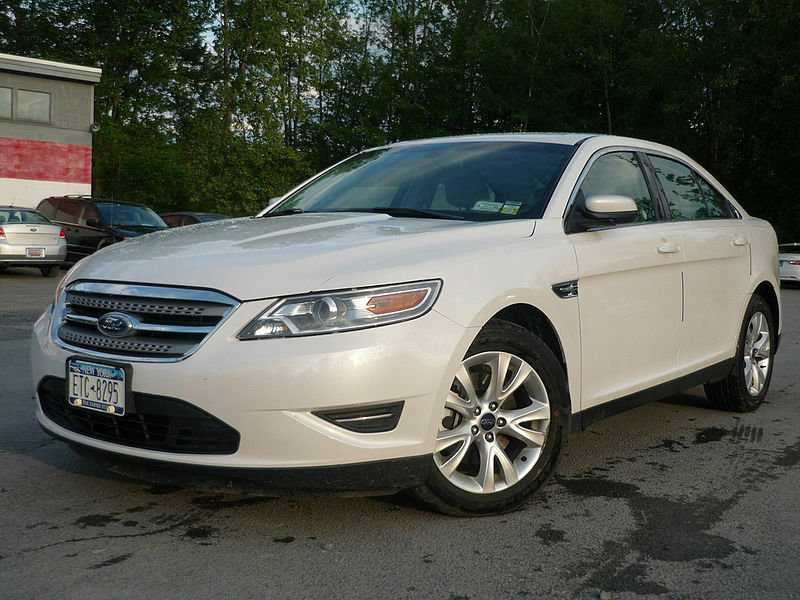 Is It Worth It to Have a Car in College? Public transportation: The bus system in West Lafayette is very interconnected with Purdue and free for students to use. The university is central to the area, meaning the bus system can get you to the campus from almost anywhere. Because car ownership is such a complex financial commitment, you’ll need to do extensive research before you know whether or not it’s a sensible investment. In a nine-month academic year, AAA reports that the average small car costs more than $3,000, including gas, insurance and maintenance; this doesn’t factor in parking costs and non-standard repairs. As a college student, you can’t afford to gloss over such a pricey and important decision. Karla Lant is a life insurance writer for The Simple Dollar. She helps everyday people understand and master life insurance issues and questions. Lant has dealt with related regulatory issues in her work as an attorney and has researched and published on life insurance and estate planning. She has also taught subjects related to life insurance as an adjunct professor. Here is her Facebook page. City Bus, Free for Students! Don’t want to bother with biking? Is it too far or just too cold to walk? 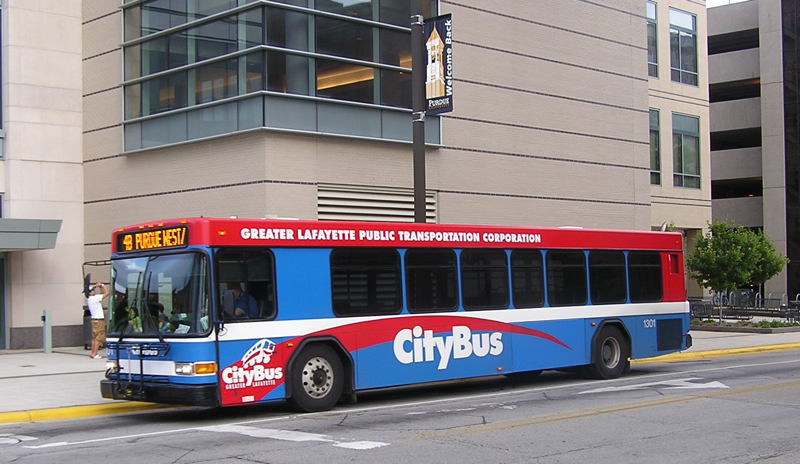 Say hello to City Bus, the Greater Lafayette area bus system. This bus system is free for all Purdue students. All you need is your Purdue ID and you’re good to go. The buses have different colored names with a sign at the top of the bus and a colored route on the bus map matching the name to help you determine if that’s the bus you want. Even though you’ll mainly just use the campus and regular loops in West Lafayette, this is not the limit of your map! You can take the bus to Lafayette as well. And if you’re out late at night, there’s no need to fear, there are actually two campus loops that run really late at night so you can take the bus home (or back to your car) when it gets dark. Catching the bus is easy. Just figure out which stop you need to get you where you want to go, stand at the sign, and when you see your bus approaching stick out your arm so the driver sees you. The bus will stop for you and you can be on your way! Text: There is a bus stop ID on the signs. You just need to text RT4 followed by the bus stop ID and Route to 41411. They will send you the next three departure times via text. Double Map: Like the Marauder’s Map in Harry Potter, double map lets you see a bus’s location in real time. You can use this through the CityBus website or download the Double Map app on your smartphone. MyRide: This smartphone friendly search allows you to enter in the bus stop number or street names to access information on your bus’s arrival time. There are some stops where pulling the ‘stop’ wire just isn’t needed. So you don’t have to hear that annoying ring, the Ross-Ade bus always stops at the top of the hill for the parking lot. The Silver Loop bus almost always stops at Class of 1950. It’s like magic! All buses will stop at the transfer station across the bridge in Lafayette too. Nervous about taking the bus for the first time? Here’s a wonderfully cheesy video that helps demystify how it all works! So the next time you’re in for an adventure (or quick, free transportation), try out City Bus. It’s much easier to use than you’d think! Have you misplaced your Nimbus 2000? Still recovering from a battle with a grindylow? …or is it just too cold to walk? Say hello to the City Bus, the Greater Lafayette area bus system. This bus system is free for all Purdue students. All you need is your Purdue ID and you’re off and running. The buses have different colored names with a sign at the top of the bus and a colored route on the bus map matching the name to help you determine if that’s the bus you want. Even though you’ll mainly just use the campus and regular loops in West Lafayette, this is not the limit of your map! You can take the bus to Lafayette as well. And if you’re out late at night without your invisibility cloak, there’s no need to fear, there are actually two campus loops that run really late at night (like the Knight Bus for wizards) so you can take the bus home (or back to your car) when it gets dark. Catching the bus is easy. Just figure out which stop you need to get you where you want to go, stand at the sign, and when you see your bus approaching stick out your wand arm. The bus will stop for you. Double Map: Like the Marauder’s Map, double map lets you see a bus’s location in real time. You can use this through the CityBus website or download the Double Map app on your smartphone. My Bus: This is a little more involved, but it’s a great one to access if you’re in your apartment and don’t have the bus stop number in front of you. Drop-down menus allow you to choose which route you are on and then two additional drop-down menus allow you to choose the direction you’re traveling and which stop you need information for. So the next time you’re in for an adventure and don’t have a hippogriff handy, try out City Bus. It’s much easier to use than you’d think! You have decided to take the leap—the leap from childhood to adulthood. You are going to try to make your own food! …but first you have to buy ingredients. Grocery shopping can be an adventure in and of itself. 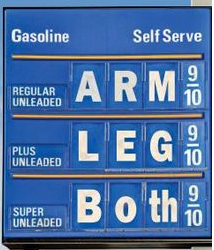 Just finding the correct items in the grocery store and maintaining your budget can be a challenge. The first time I decided to buy groceries, I chose to go to Walmart. 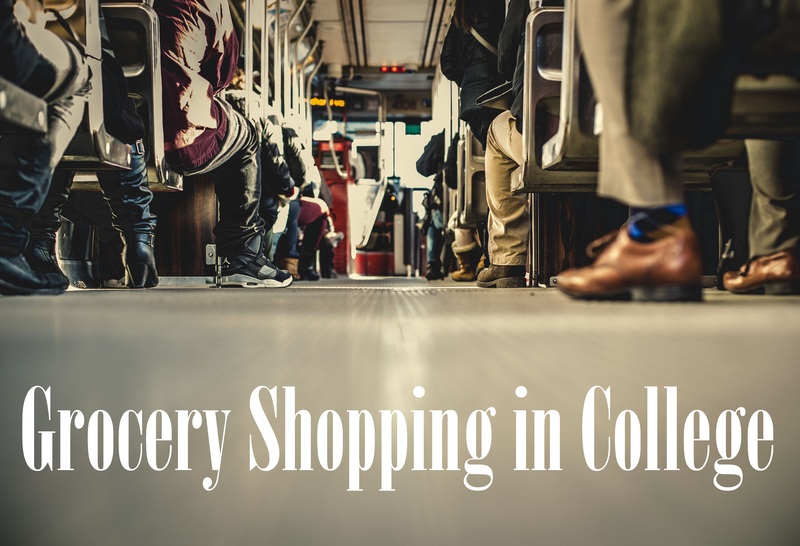 I didn’t have a car and I knew that the bus route would take me directly to the store and back to campus. Even so, I was terrified that I was somehow going to end up stranded. I boarded the correct bus, but once the bus reached Lafayette, the driver announced that we were changing routes. Purdue’s campus was far off in the distance and I didn’t know what to do. Surely I could find another bus, but what if it also changed routes? I had to think fast. I found another bus that was heading to Walmart and decided to take my chances. Luckily, this bus stayed on route. It wouldn’t have been that stressful, had I taken the time to look around on http://www.gocitybus.com/ to see which routes could get me there. Go City Bus even has a smartphone app that allows you to see where the bus is at any time. Because I hadn’t prepared myself for the trip, going to the store took longer than normal, and I was hungry upon arrival. When I reached Walmart, I grabbed a cart and very slowly walked around the store. It’s not that I wanted to be lackadaisical, but rather that I wanted to find the items and I had no idea where they would be. I arrived in the aisle for my first item and was bombarded by the immense array of colorful advertisements and choices. I had never realized how many different kinds of cereal there were! Not only are there lots of different kinds of cereal, there are also lots of different brands of every single kind. The thing about having a lot of choices available is that you are frequently faced with the choice of buying a cheaper and potentially lesser quality item, or spending more and getting an item that may not be better than the cheaper option. On this particular shopping trip, I made some poor choices when it came to which brand to buy. I spent more money than I had planned and came home with things that I didn’t need because I had been hungry. I also forgot several of the items that I needed the first few times that I went to the store. As I learned after a few shopping trips, it’s best if I follow a few rules when I go. First and foremost, I no longer go grocery shopping if I’m hungry. If I go shopping when I’m hungry, I buy way too much junk food. It’s better if I take the time to eat beforehand. Secondly, I have learned that it’s best if I carry a grocery list. This helps me not to forget anything and prevents me from buying items I don’t need. It also enables me to estimate how much money I will be spending so that I know whether or not I am going to stay within my budget. Finally, I have learned from experience which items are okay to buy cheaply and which items are worth spending more money on. This is my personal preference but it’s definitely worth trying different brands to find the best and cheapest option for you. I hope that you can learn from my mistakes in order to stay within your budget and experience less frustration than I did the first time you go grocery shopping. Shop away! My Bus: This is a little more involved, but it’s a great one to access if you’re in your apartment and don’t have the bus stop number in front of you. Dropdown menus allow you to choose which route you are on and then two additional dropdown menus allow you to choose the direction you’re traveling and which stop you need information for.